RPG HERO PUZZLE, MYSTERIES, & DRAGONS AWAIT YOU IN ARCANE SURVIVAL ESCAPE ARENA! In Epic Journey – Lost Valley is RPG Quest & Survival Game, you will solve challenging puzzles and guide Ethan in his forsaken destiny through a beautiful valley world to explore the dragon mysteries in lost valley that in turn will help to defend Kingdom from Army of Dead Walkers. The lost adventure is back! 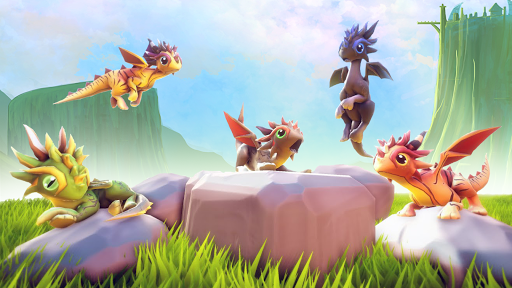 Epic Journey – Lost valley is a role-playing fantasy puzzle journey offline game set in a long-forgotten lost valley world to explore dragon’s world. Explore the ruins of an ancient monument, unravel well-kept secrets, face your fortune and uncover the mysteries. Explore the valley surrounded by gigantic monument, a world of dangers, puzzles and hidden secrets. 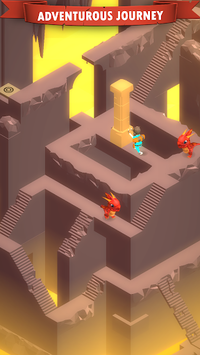 Learn to solve puzzles and discover ancient temples which will help you to unlock final quest & forsaken destiny. Use all your wits and skill for survival and to discover the mysteries. Epic Adventures - RPG Legend Quest & Survival Game combines captivating storytelling, breath-taking 3D visuals and exciting game play into one massive RPG adventure survival escapes that you will never forget. 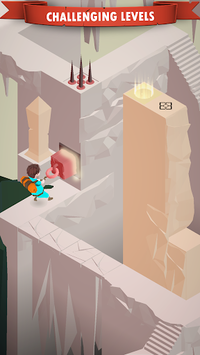 Escape the ancient monuments in Puzzle Escape that are full of challenges and mysterious puzzles. This room escape offline game will surely challenge your puzzle escaping ability. Master a variety of complex puzzles that surrounds you in arcane! Turn hidden levers, explore hidden objects and press secret switches to create new pathways & lead you to next destiny under the shadow. War has come to Altorious & now is the time of legend rise. Immerse yourself in interactive soundscapes for the fantasy Odyssey. Best ambient soundtrack you will feel in the escape games genre. Designed for everyone to pick up and enjoy. Master the journey effortlessly with accurate touch controls or controller. Travel to the new dragon city to make your fortune! You’ve never played anything like Hero adventure riddle story! Lost Valley is optimised for both tablets and phones. Solve stunning 3d puzzles of escape game difficulty; discover a breath-taking, explore lost world, ready to be unearthed.One of the best escape offline games ever! Adventure room escape puzzle that will completely challenge your mind, captivate you & offer hours of amazing mobile gaming entertainment. The mysterious land of Journey 2 is coming soon. Begin the adventurous Journey, make your fortune and explore what comes after the end of world! Get ready to flex your mental muscles and be wow’ed in Epic Adventures - RPG Legend Quest & Survival Game today. Epic journey is offline game. Enter all new astonishing world of valley escape games & puzzles in Epic Journey!